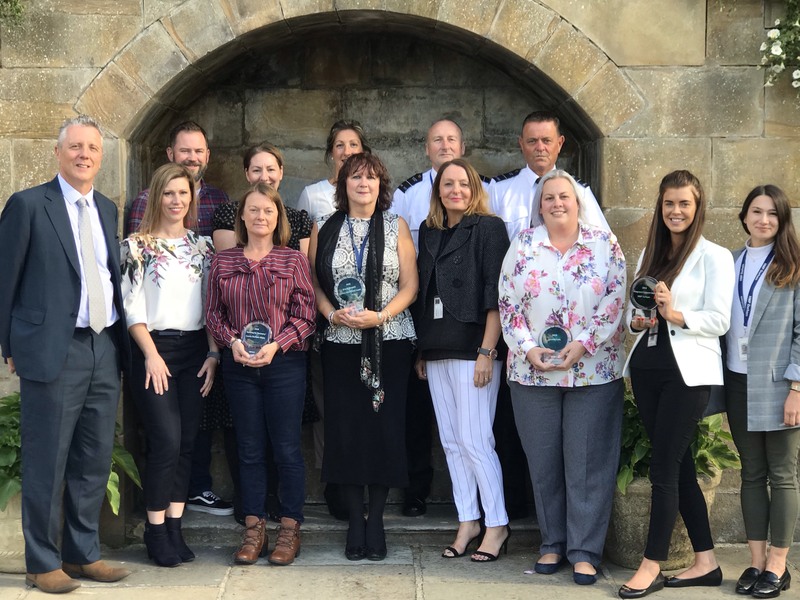 Professionals working with prisoners, ex-prisoners or those sentenced to community punishments have been presented with awards for their efforts to reduce re-offending by north east charity Nepacs. The awards for helping people resettle in the community and rebuild their lives have been given annually by Nepacs since 2004. 2018 is a special year for the awards as they were renamed in honour of long-standing Nepacs’ patron and former trustee Ruth Cranfield. This year’s Nepacs Ruth Cranfield Awards and certificates were presented by Marc Baker, director of operations for HM Inspectorate of Probation, at an event on Monday 24 September 2018 at Lumley Castle in Chester-le-Street. The awards celebrated projects that support prisoners planning for release and afterwards, working with agencies to help promote purposeful and communal activity and build self-belief, helping them re-establish themselves outside prison, securing accommodation, work and positive family relationships. Running for Recovery (County Durham Integrated Offender Management Unit staff (from Durham Tees Valley CRC, Durham Constabulary, National Probation Service, Foundation, and Durham University) - A running group for those at high risk of reoffending in County Durham and Darlington, offering a different and more effective kind of engagement with agencies, new interests and relationships, health improvements, and a sense of achievement. Leanne Cole, custodial manager at HMP Holme House - Over the short period Leanne has been in post, she has made several innovative changes and improvements to the running of visits in Holme House, putting in place closer communication between the Prison and Visitor Centre staff and thereby enhancing the prison visits experience from all sides. Integrated Support Unit, I Wing at HMP Durham (Mental health clinicians from Tees, Esk and Wear Valleys NHS Foundation Trust and Prison Officers) - A newly opened regional unit based in HMP Durham, a first of its kind, providing a unique approach to the management and therapeutic support of inmates with mental health issues throughout North East prisons. This year a special lifetime achievement award was also presented to Bronia Banecki, head of assurance at HMP&YOI Low Newton for her longstanding commitment to promoting resettlement and rehabilitation for women offenders, and for the support she has shown to voluntary sector agencies working in the prison. Helen Attewell, chief executive of Nepacs, said: “Criminal justice agencies have had a particularly bad press recently but the awards today demonstrate how dedicated individuals and innovative good practice can make a massive difference to the outcomes for people who want to turn their lives around, as well as preventing future victims in the wider community.